This entry was posted on 17. 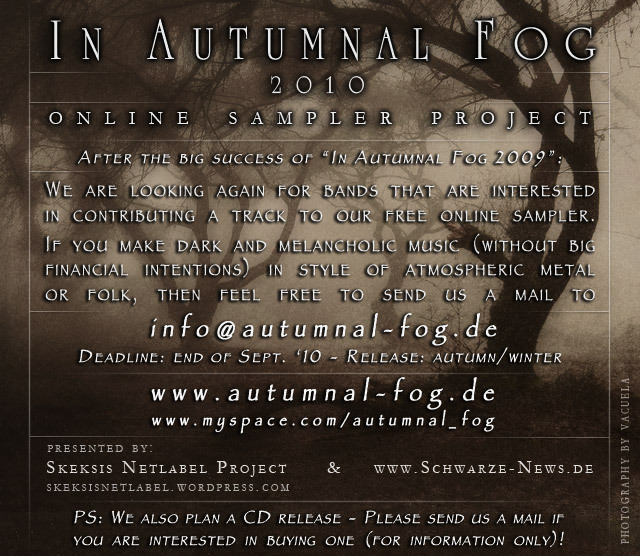 Juli 2010 at 5:51 pm and is filed under NEWS with tags in autumnal fog 2010, mp3 sampler. You can follow any responses to this entry through the RSS 2.0 feed. You can leave a response, or trackback from your own site. This is very satisfactorily written. The blog post was informative to elocutionists who possess a good value for articles. We looking ahead for more of the same. He has described each and everything extremely nicely and in brief.